The Columbia Boys Choir is part of a larger organization called Columbia Choirs (started in 1985 by its founder-conductor, Steve Stevens). The Boys Choir, the U.S. West Coast’s only international award-winning boy’s choir, has concertized and competed extensively in Great Britain, Western Europe, and Eastern Europe. Training includes vocal technique, musicianship (sightsinging and ear training using Kodaly “solfege”), and performance experience. 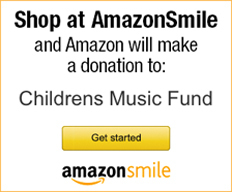 University-trained, professional instructors utilize the music being learned to teach and remind the children of the basic elements of musicianship. The choir was honored with participation (three times) in the prestigious International Musical Eisteddfod in Llangollen, Wales (earning 8th in 1989, 8th in 1993 and 4th in the world in 1995), the Bournemouth Competitions Festival in England (where they were named “Choir of the Year” over competing choirs from across Europe), and in the 1998 International Music Festival at Cantonigros near Barcelona, Spain (placing 2nd in the world). In 1990 the boys were selected to tour the “Soviet Union” (as guests of the Soviet Government) to participate in the Tchaikovsky Music Festival of Winners. 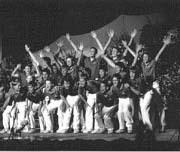 Other awards include the Gold Award for choral excellence in the Montreal and Quebec Choral Festivals of Canada; a special Award for Choral Excellence in the 1987 Festival of Music and Youth in Vienna, Austria; and the top placing boys choir at the International Choral Kathaumixw in British Columbia. Locally, the choir performs with major orchestras such as the Northwest Chamber Orchestra, Orchestra Seattle and with other choirs such as Seattle Chamber Singers and Bellevue Chamber Chorus. Our members have also sung as soloists and choristers for Seattle Opera and various churches in the region. 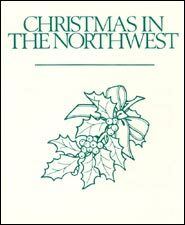 The boys are honored with being on the “Christmas in the Northwest” and “Best of Christmas in the Northwest” Album series. Our members have also sung as soloists and choristers for Seattle Opera and various churches in the region. Regionally, the choir also performs for conventions, civic groups, municipal functions and unique events such as the Christmas Ship Cruises. Summer activities include concert touring and “MusiCamp”. The Columbia Choirs organization includes the Boys Choir, the Columbia Girls Choir and Columbia Vocal Ensembles. Approximately 200 singers (2nd graders through freshman in College) come from 17 communities and 9 school districts to rehearse in Kirkland and on the Sammamish Plateau once and twice weekly.